Today is your final day to Prepare To Die, as the original PC version of Dark Souls is being removed from Steam tomorrow to make way for the new Remastered edition. 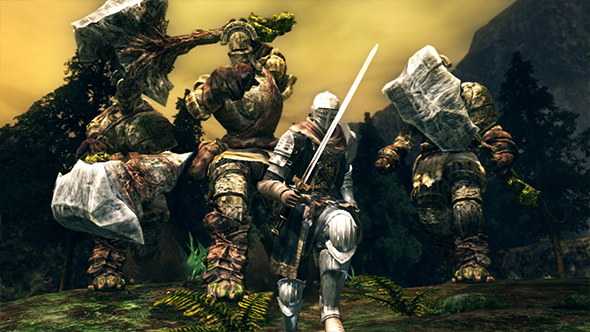 Which Dark Souls boss made it onto our list of the hardest boss fights? Find out here. Dark Souls Remastered boasts a litany of minor updates: from graphical tweakings like higher res textures and better lighting, to quality-of-life improvements like password matchmaking, the ability to cash multiple consumables at once, actual resolution support (a reminder that the original Dark Souls on PC didn’t include the ability to change resolution, in a game released in 2012), and a new bonfire. Owners of the original Prepare To Die edition will receive a 50% discount on Dark Souls Remastered. Though not quite as good a deal as getting the Skyrim: Definitive Edition for free, it’s still an appreciable discount that they could have easily not bothered with. Prepare to Die costs $19.99 right now and Remastered will be $39.99, so with the discount applied, you could get both for the same price as Remastered alone. If you’re interested in experiencing the world of Dark Souls mods, it might be an idea to pick up the Prepare To Die edition before it disappears. It’s unknown how many mods will make the transition over to the new version, and it always takes time to build up a new modding community. Otherwise, the main reason to pick it up would be historical posterity, so grab it if you want the “pure” experience (i.e. the uglier, buggier, requires-a-fan-patch-to-even-work version).